The most cost effective way to manage the calibration and bump testing of Honeywell Analytics portable gas detectors. The most cost effective way to manage the calibration and bump testing of Honeywell Analytics portable gas detectors is through the MicroDock II automated test and calibration system. Fully portable and easily expandable, the MicroDock II requires no computer and provides simultaneous management of up to six modules. Minimize expenses and maximize productivity with the MicroDock II. Enables multiple MicroDock II systems to be connected via a LAN. 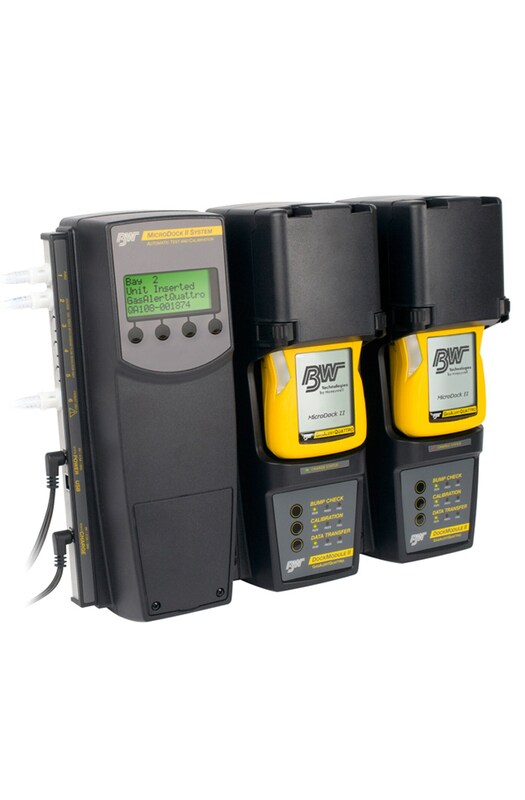 With the supplied Fleet Manager II software, data analysis, dock configuration, and reports can easily managed by one computer utilizing the Network USB Communication Device. What happened to the BW Technologies website, www.gasmonitors.com? BW Technologies is part of the Honeywell Analytics family so in an effort to provide our customers with complete gas detection solutions we merged the gasmonitors.com and honeywellanalytics.com websites. We hope that having all of our brands and products in one location will make it easier for you to find the right solution for your gas detection needs. The IntelliDoX system combines smart docking modules and device management software to provide automated instrument management for Honeywell BW™ Solo, Honeywell BW™ Ultra, BW™ MaxXTII, BW™ Clip Series, Honeywell BW™ Clip4 and Honeywell BW™ MicroClip Series gas detectors - helping you drive productivity, reliability and efficiency. Keep your product up and running with the most recent updates.